Ah, so you’re back again. That’s great. Aren’t animals fun? Let’s continue our visit to the New York Zoological Park. Remember, this is the zoo that resulted from Fordham University’s selling the land it sits on to New York City for $1000. So far, we’ve visited elephants, brown bears, and arctic foxes. 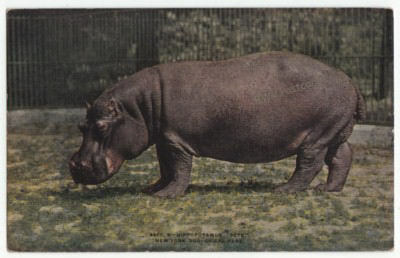 Today’s vintage postcards picture the giraffe and hippopotamus. 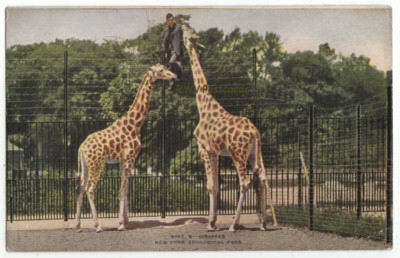 Postcard of Giraffe at NY Zoological Park reaching up to man on fence. The Bronx Zoo has a wonderful page full of fun facts on this tallest of animals. What I found interesting, was the scientific research being conducted to determine how many species of giraffes exist. This had been mentioned while I was touring Disney’s Animal Kingdom several years ago. If found to be true, some giraffe species may be threatened, due to smaller populations, rather than the current status of “lower risk”. One wonders if there may be subspecies of other lower risk animals we don’t yet know about, that should be protected. 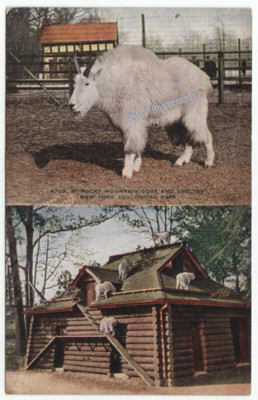 Be sure to come back each day, starting Saturday, 02/27/10, thru Wednesday, 03/03/10, to find out which animal on vintage postcards from the New York Zoological Park will be visited that day. Ah, so you’re back. That’s great. Let’s continue our visit to the New York Zoological Park. Remember, this is the zoo that resulted from Fordham University’s selling the land to New York City for $1000. 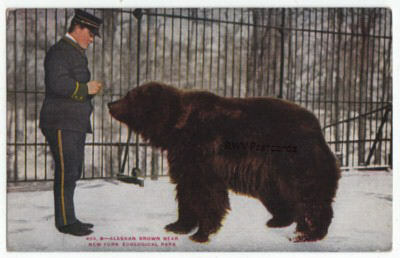 Today’s vintage postcards picture the Alaskan Brown Bear, and the Arctic Fox. The Alaskan Brown Bear, or Kodiac Bear, is a threatened species found off the southeast coast of the Alaskan peninsula (Kodiak, Afognak, and Shuyak Islands) that rivals the polar bear as the largest land based predator. 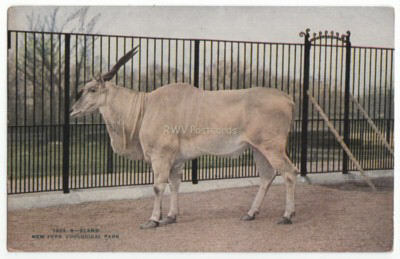 It has a noticeable hump above the shoulders. The adult male can reach a height of 8.5 feet when standing erect. Although it cannot see very well, this bear can manage a speed of up to 40 mph. Note, bear cubs have no fur when born. 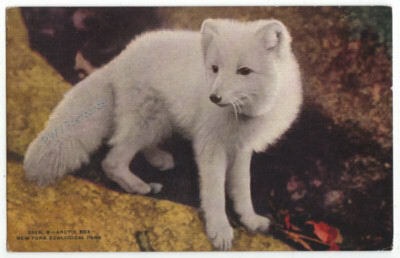 The Arctic Fox, or Polar Fox, is found in the arctic and alpine tundra of Eurasia, North America, and Canadian archipelago, Siberian Islands, Greenland, inland Iceland, and Svalbard. This predator and scavenger’s status is good, but is heavily dependant on the fluctuating rodent population, mainly lemmings. ** If you liked this blog post, please click on the bookmark button to the lower right. 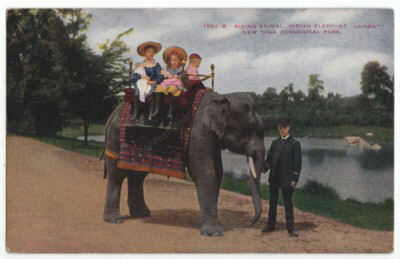 Not long ago, I was excited to discover several vintage postcards from the New York Zoological Park in a 900 postcard lot I’d just bought. This excitement was because I’d recently become a member of the Minnesota Zoo. I go to this zoo to relax, while watching frolicking baby otters, sleepy Red Pandas (very cute), darling Prairie Dogs, endangered Amur Tigers and Leopards (they have such BIG paws), and other animals up close. My membership in the Minnesota Zoo helps support these wonderful animals and the zoo’s conservation efforts. 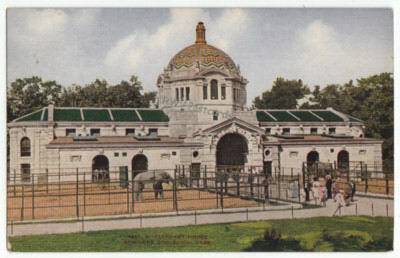 In the 1880s, Fordham University sold most of the land another zoo sits on for $1000 to the City of New York on condition it be used for a zoo and garden. 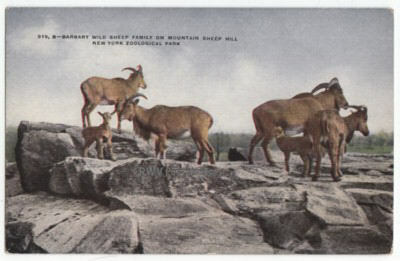 This led to the formation of the New York Zoological Society in 1895 (WCS), one of the first conservation organizations in the U.S. 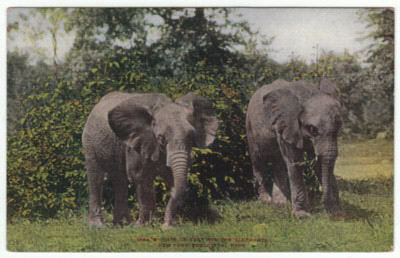 The New York Zoological Society’s wildlife conservation efforts led to the opening of the Bronx Zoo (originally called the New York Zoological Park) in November, 1899 featuring 843 animals in 22 exhibits. 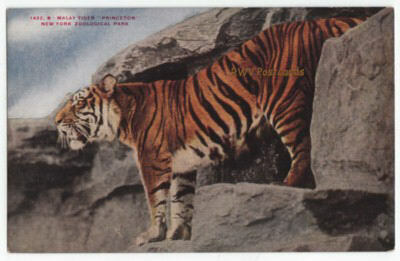 Over the next five days, I will be featuring vintage postcards of animals exhibited at the New York Zoological Park (Bronx Zoo). 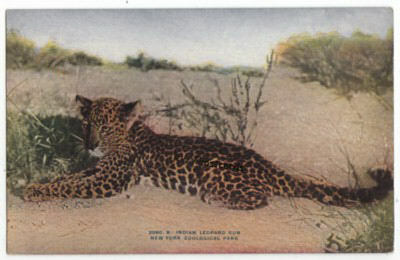 Be sure to come back each day to find out which of this zoo’s 843 animals on postcards I’ve posted.